the monotypic genus Dendronanthus which is closely related to Motacilla and sometimes included herein. 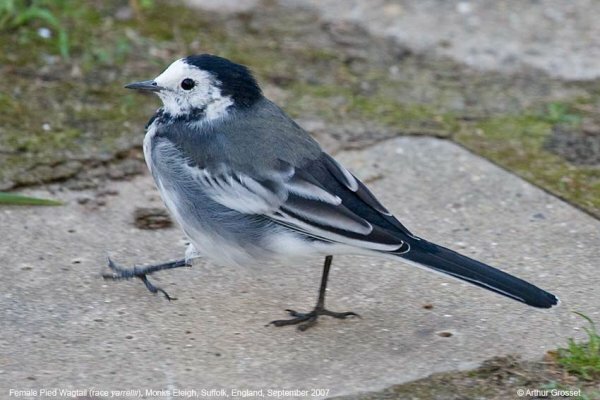 the Japanese Wagtail. It belongs to the fantail flycatchers. 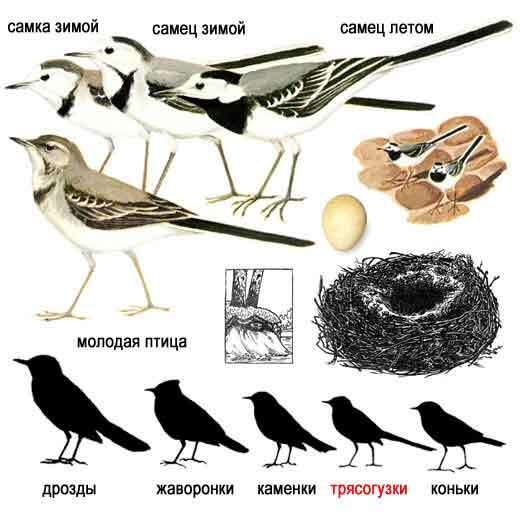 Wagtails are slender, often colourful, ground-feeding insectivores of open country in the Old World. They are ground nesters, laying up to six speckled eggs at a time. Among their most conspicuous behaviours is a near constant tail wagging. In spite of the ubiquity of the behaviour and observations of it, the reasons for it are poorly understood. 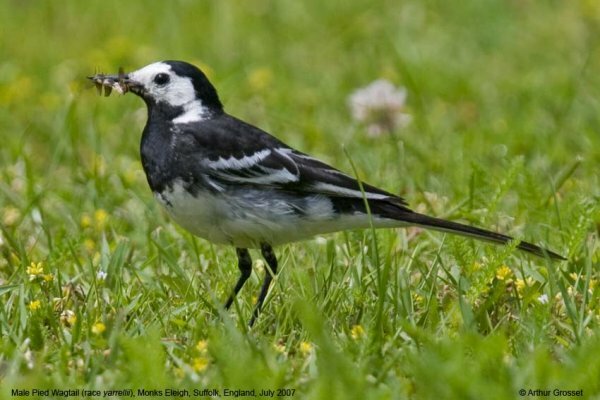 It has been suggested that it may flush up prey, or that it may signal submissiveness to other wagtails. Recent studies have suggested instead that it is a signal of vigilance that may aid to deter potential predators. 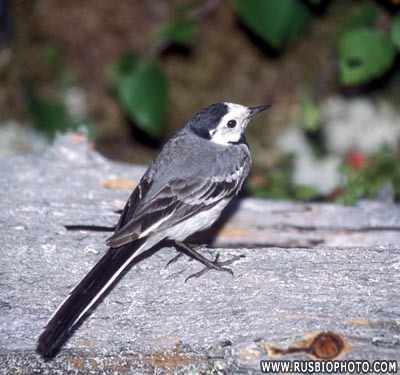 Mekong Wagtail,Motacilla samveasnae - was described as new to science only in 2001. Cyprus. You may also find it in the Ethiopian region, Turkey, Iran and most of the palearctic part of Asia. It is also to be found in the western parts of Alaska. 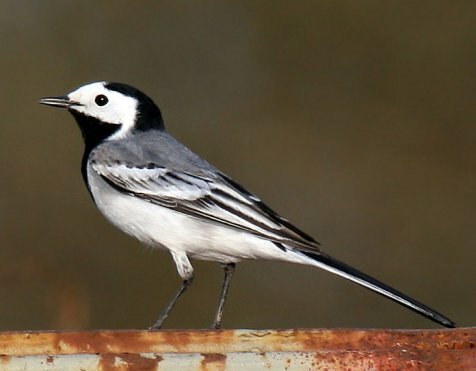 Motacilla alba is all over Europe, except for the British Isles, where they have the darker Motacilla alba yarrellii (see below). Ural and eastward through Asia. and are absent or few in uninhabitated areas and homogenious woodland. comes, they very often return to the same place they were born. Source: Tor Ålbu. 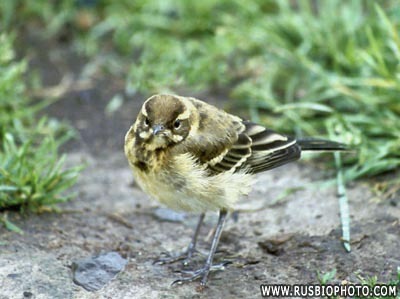 1994: Linerle, Motacilla alba. Motacilla alba yarrellii in which the male has a glossy black back as in photo above, and the female has a dark grey back, photo below. includes the pipits and longclaws. 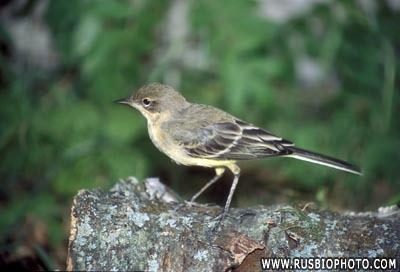 This species breeds in much of temperate Europe and Asia and has a foothold in North America in Alaska. migrate to Africa and south Asia. The Beringian population winters further down the Pacific coast. or immatures as it seems  is encountered. It is a slender 1516 cm long bird, with the characteristic long, constantly wagging tail of its genus. of colours and patterns depending on subspecies. 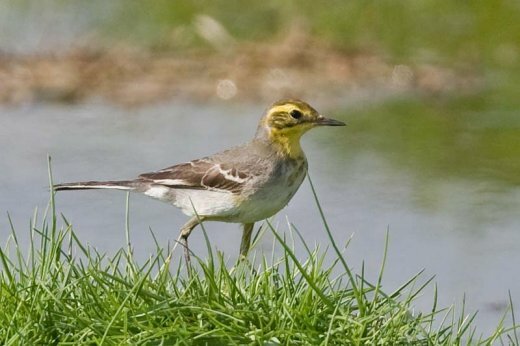 The call of the Yellow Wagtail is a characteristic high-pitched jeet. This insectivorous bird inhabits open country near water, such as wet meadows. 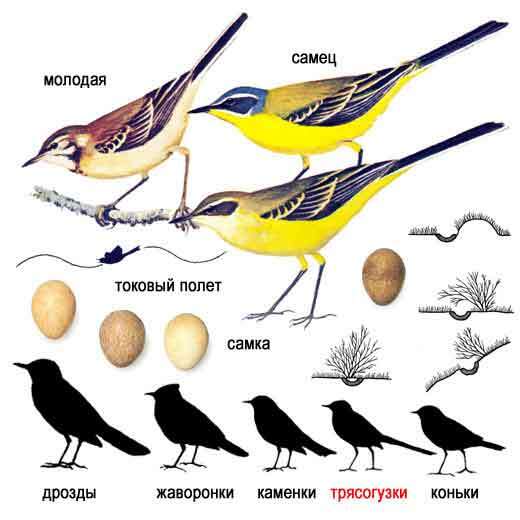 region are sometimes separated as Eastern Yellow Wagtail, Motacilla tschutschensis. 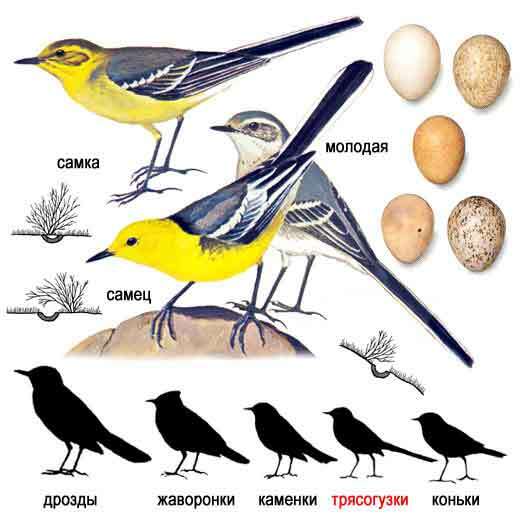 The Citrine Wagtail or Yellow-headed Wagtail, Motacilla citreola, is a small songbird in the family Motacillidae. Yellow Wagtail, Motacilla flava. Which of the many taxa in this group should properly refer to which population is unlikely to be resolved in the immediate future. of males in winter plumage. to highland areas. Its range is expanding westwards, and it is a rare but increasing vagrant to western Europe. It is an insectivorous bird of open country near water, such as wet meadows and bogs, and nests on the ground, laying 4-5 speckled eggs. 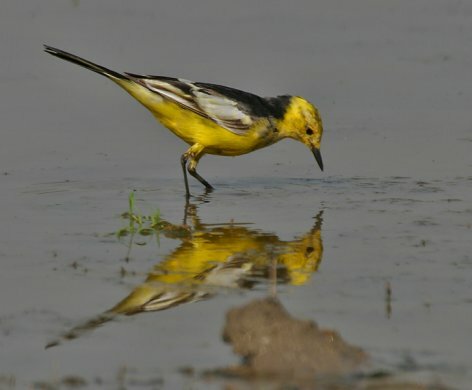 Citrine wagtail, Motacilla citreola, at Keoladeo National Park, Bharatpur, Rajasthan, India.